Seller's markets exist when there are a lot of buyers competing for a low inventory of active listings. It’s not unusual for a home with all the bells and whistles to draw offers from more than one buyer. When this happens, the house often sells for more than list price. But the price isn’t everything to a seller. There are other factors. If you are trying to buy a home in a seller’s market, here are ten tips to help you write that winning purchase offer and beat out the competition. A lender’s letter that says your credit rating has been examined and you can afford to buy the home carries a lot of weight. It tells the seller that you are serious and qualified. It says you are ready to purchase and have already committed to a lender. If the seller has a higher offer from a buyer without a preapproval letter, your offer will likely win. An agent who constantly combs the marketplace and networks with other agents is more likely to get a lead on your new home before anybody else, which is why you need to hire a good agent. Here is a sample scenario where an aggressive agent was beneficial. When a young nurse was ready to buy a home she had just toured over lunch, her agent insisted they write the offer on the hood of her car. Then the agent called the listing agent from her cellphone. She persuaded that agent to drop what he was doing and join her at his seller’s home to present the offer. The nurse’s offer was accepted that afternoon. Don't include demands on your offer that are likely to irritate or anger the seller. If it is customary in your area for the buyer to pay for her own title insurance policy, don't ask the seller to bear that cost. 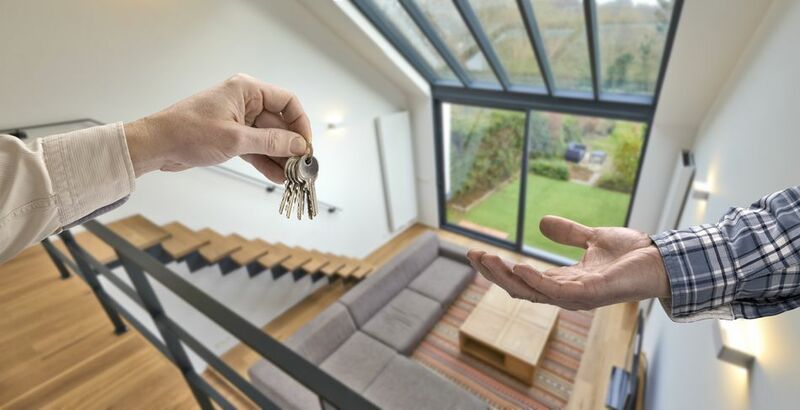 If most buyers demand possession at 5:00 PM on the day of closing, show that you are different and be generous by giving the seller two or three days to move out. Simply put, this means write your very best offer. You might get only one chance to make an impression on the seller, so don't make a low offer hoping the seller will give you a counteroffer. If the seller has received multiple offers, the low offers most often are not even considered. They are shoved into the rejected pile. Figure out the top dollar you are willing to pay for the home and offer that price. If you are able to pay “all cash” for a home, say so. Although it's always “all cash” in the end to the seller, even if the buyer obtains a loan, a transaction that is not dependent on receiving loan approval is more attractive to a seller. Many standard real estate purchase contracts give the buyer X number of days to perform inspections before the buyer is required to proceed with the transaction. If the default in your purchase contract is 17 days, try shortening that period to 10. By federal law, unless you specifically waive your right under the Lead Paint Disclosure, you have ten days to inspect the property for signs of lead paint contamination. If you have spoken to your legal advisor and feel comfortable risking your deposit, you might want to consider waiving contingencies such as those for loans, appraisals or inspections. However, there are risks. If you waive an appraisal contingency and the home appraises below your sales price, you will need to make up that difference in cash. But without some contingencies, your offer will be more appealing than a competitor’s. If the seller has eight offers on the table, but your offer includes a letter that is personally handwritten by you, your offer will stand out. In your letter, you will want to appeal to the seller’s emotions by explaining why you are in love with her home and list all the reasons why your offer should win. If you can evoke tears of joy or induce empathy from the seller, your offer will likely win.